Restricted to 250 item(s) only. This Sale price is available both online & in-store! 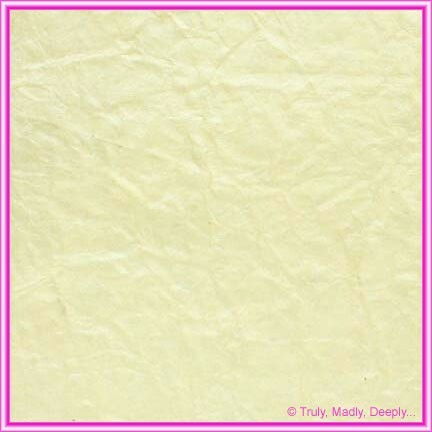 Natural looking embossed crinkle or crushed pattern. All handmade A4 papers are deliberately guillotined slightly oversize to 21.1cm x 30cm (ensuring you can always fully cover a standard A4 sheet of 21cm x 29.7cm). Not only is it beautiful, this paper is also environmentally friendly as it is made from 100% first grade recycled cotton offcuts/waste from the textile industry. Genuine Paperglitz product - highest quality papers made with 100% recycled cotton (no wood pulp) with amazing embossing definition. Don't waste time with cheap & nasty cast copies that lack the definition of this beautiful design - ours are made with the original embossing plates and have amazing definition. We are also known to be up to 20% cheaper than other Australian suppliers for this design! This paper is also available in full sized sheets (56x76 or 66x66cm) and in genuine Paperglitz Glamour Pockets®, Add a Pockets® and we can also guillotine and/or die-cut to your specification. Buy with confidence and specify only "Genuine Paperglitz Handmade Embossed Papers" for your wedding invitation papers and craft projects.